Last Friday I tweeted a picture with the title "Today's neckline". It was meant as one time thing, but I liked the idea, so when Monday came I decided to send out one more and this has continued the whole week. Below are the photos I tweeted, showing what I was wearing each day. Maybe it can be of inspiration to someone. I would love to hear your comments, likes or dislikes. Large check shirt from T.M. Lewin. Navy suit with light blue pinstripes from Cad &the Dandy. Plain white shirt from Charles Tyrwhitt. 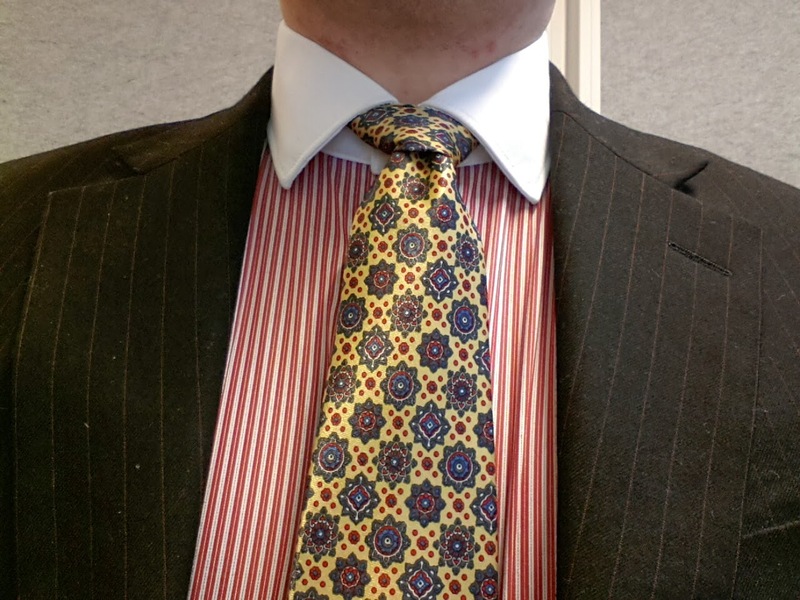 Dark blue silk tie with yellow and red diagonal stripes from Angelo Zeretti. Black suit with red pinstripes from Cad & the Dandy. Red striped shirt from T.M. Lewin. Plain blue French suit from Cacharel. Light blue check, button down, shirt from Jean Paul. 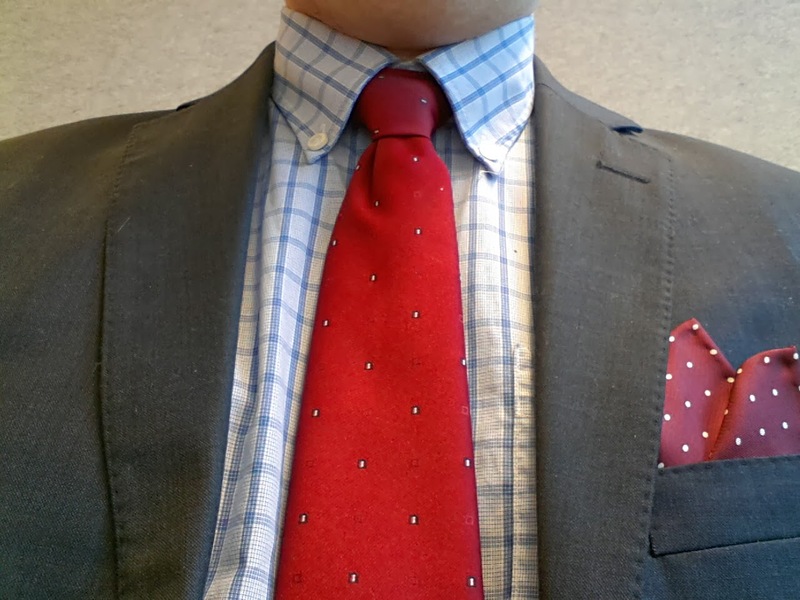 Maroon pocket square with white dots from Pelicano Menswear. 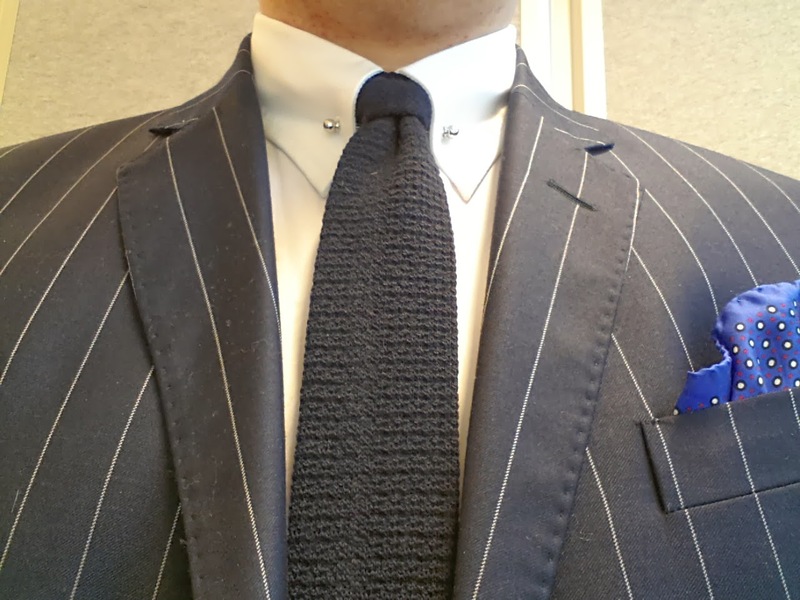 Italian blue suit with chalk stripes by Roma Collezione. Plain white pin collar shirt from T. M. Lewin. 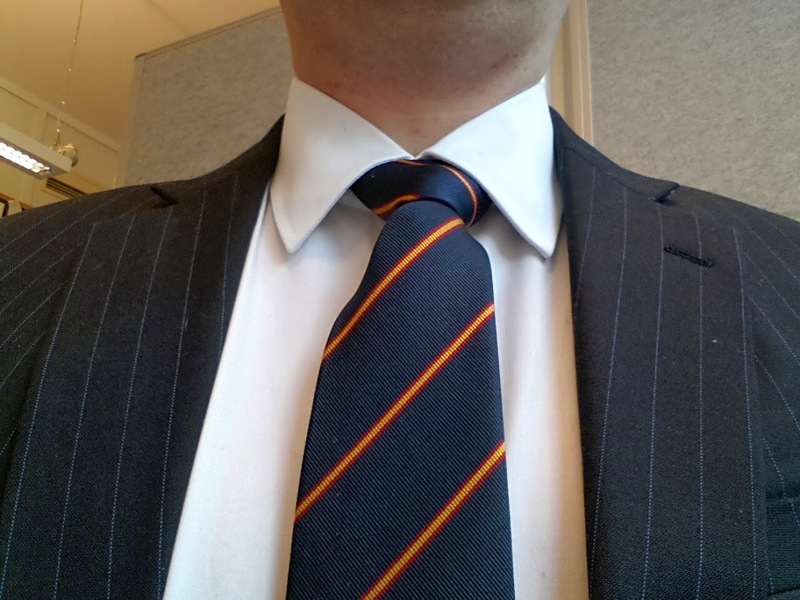 Plain dark blue knitted tie of unknown make (inherited from my grandfather). Blue pocket square with red, navy and white dots from Ted Baker. 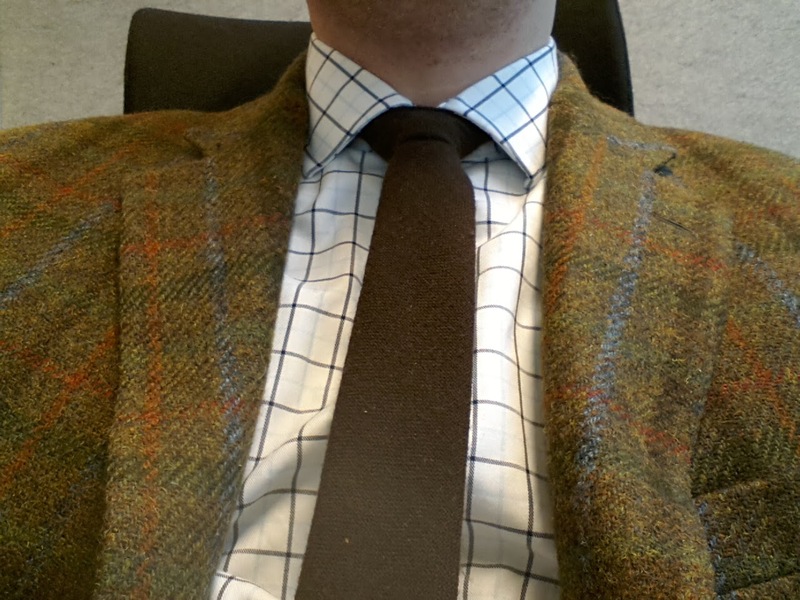 Slate Prince of Wales check suit from Cad & the Dandy. Light blue, pin collar shirt with white collar from T.M. Lewin. Bright blue tie with white dots from Edsor, Berlin. 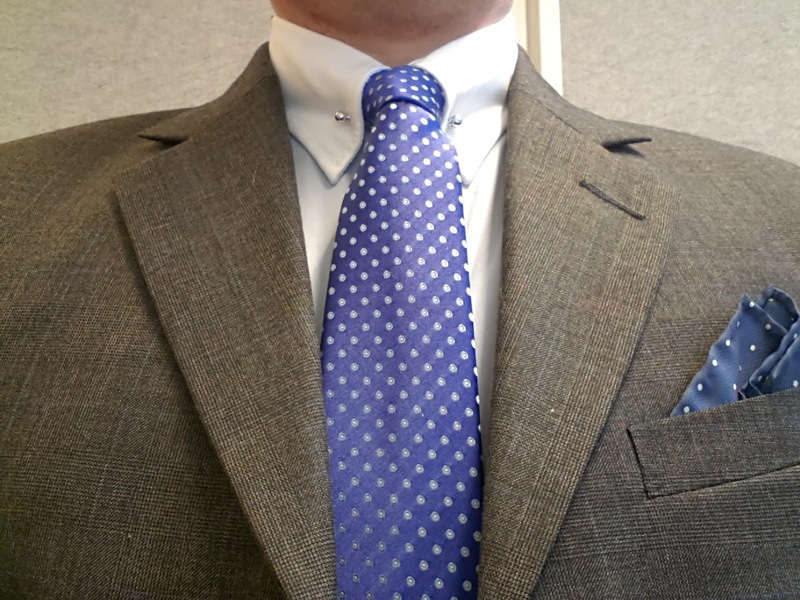 Navy pocket square with white dots from Pelicano Menswear.